Singapore is a spectacular city; a city of sharp and constant contrasts, which perfectly blends old and new. Temples and mosques sit in the shadow of skyscrapers, luxury condos back onto ancient jungles, and wild monkeys roam nature parks and reserves. There’s no shortage of things to do or places to see in Singapore, and its central location has made it one of the world’s most popular stopovers. It’s one of those places a lot of international flights pass through. But take our advice: even if Singapore has landed on your itinerary as a layover, stop and spend a couple of days exploring the island. If you think it’s just another boring metropolis, you’ve got another thing coming to you! Singapore isn’t particularly suited to walking, but has a fabulous underground metro (MRT) which is easy to navigate, and covers most of the island. It’s efficient, clean and unbelievably cheap. 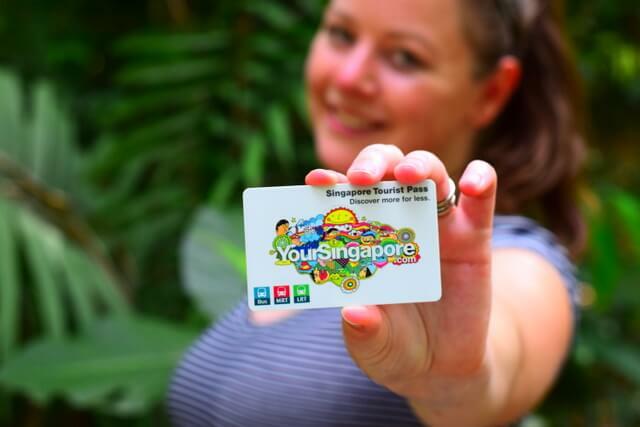 We recommend buying a 48 hour Singapore Tourist Card for unlimited travel on bus services and the metro. A 48 hour card is $16 + a $10 rental deposit which you get back when you return your card. You can buy from selected TransitLink Ticket Offices in most main MRT stations. Taxis and Uber are also cheap and affordable. Start your day with breakfast in Chinatown in an authentic Singaporean hawker center (a food court serving good local food at reasonable prices). The Chinatown Complex Food Center on Smith Street is a cafeteria serving up all kinds of Asian (and Indian!) delicacies. It’s the largest hawker centre in Singapore with over 260 food stalls. You’re in the center of Chinatown, so can spend the morning exploring. Attractions in Chinatown include the City Gallery, which provides a fantastic insight into the island’s past and houses an impressive 1:400 model of central Singapore in the final room. Along South Bridge Road is the Buddha Tooth Relic Temple, with rich displays of religious artefacts across six floors, and has a tranquil rooftop garden, and the Sri Mariamman Temple, the oldest Hindu temple in Singapore. As you make your way through the streets you can browse through little market stalls selling clothes, trinkets and souvenirs. 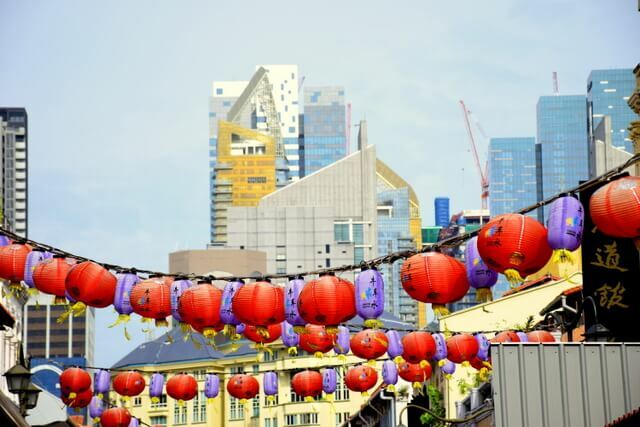 After you’ve finished exploring Chinatown, walk over to Collyer Quay and stroll along the waterfront. Waiting for you are fantastic views of the harbour, including boats, waterfront bars and restaurants, Marina Bay Sands, the ArtScience Museum and the Merlion. This is a great spot to get some iconic photos of Singapore (especially at sunrise if you’re an early riser). You can grab lunch at the Shoppes at Marina Bay Sands, or head up to the roof to take in the great view from the Skypark Observation Deck while enjoying a cocktail. 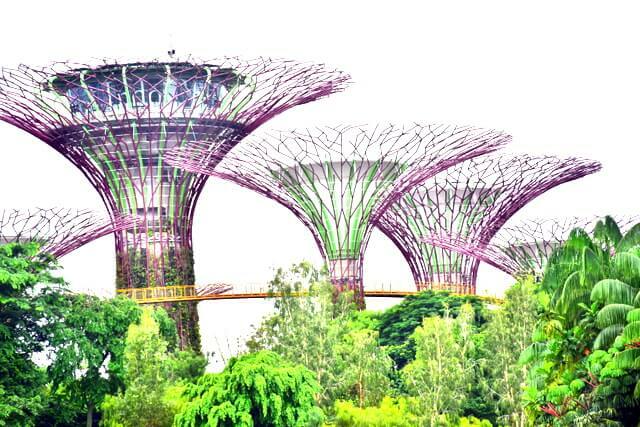 Within walking distance are the iconic Gardens by the Bay; a massive nature park famous for its grove of enormous supertrees, as well as the Flower Dome – the world’s largest glass greenhouse, with an impressive collection of the world’s flora. Pro Tip: The weather in Singapore is warm and humid all year round. You should plan to change clothes a couple of times per day if you’re participating in active activities. 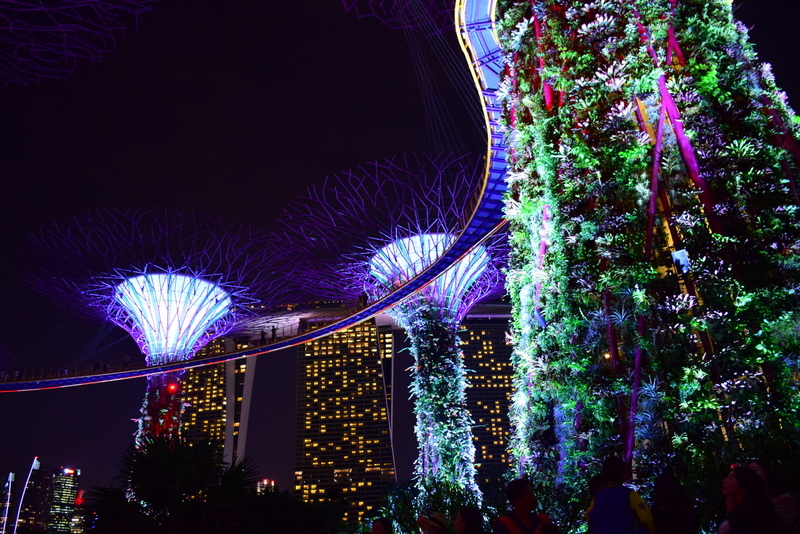 You’re heading back to Gardens by the Bay in the evening to catch the Garden Rhapsody light and sound show. The show is free and runs at 7:45 p.m. and 8:45 p.m. daily, and while you may think you’re retracing your steps, it’s an absolutely magnificent and dazzling sight to see the gardens glow at night. The sun sets around 7pm in Singapore, so after you’re finished for the afternoon, you can either hang around the harbor until the early show, or head back to your hotel for an afternoon nap and then go back. If you’re a fan of shopping, you can jump over to Singapore’s shopping mecca, Orchard Road to keep you busy in-between. And pick up a dim sum dinner at Tim Ho Wan, a Hong Kong export that’s wildly popular with food enthusiasts (the Plaza Singapura at 68 Orchard Rd). Or, walk back to Chinatown to the Sri Mariamman Temple on South Bridge Road. Captivating Hindu ceremonies take place nightly at the temple and it’s free to enter aside from a small camera fee. Leave your shoes at the door. There are plenty of dining options here too. 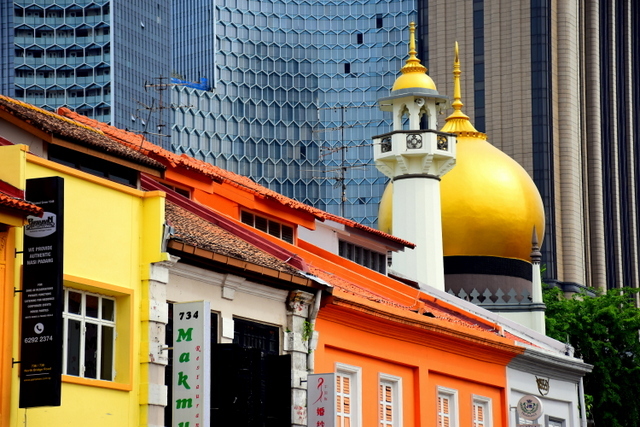 Start your day in Little India, an buzzing ethnic neighborhood that shows off the best of Singapore’s Indian community from vibrant culture to incredible shopping. The main street is Serangoon Road, but the best buildings, stores and photo opportunities are on the narrow streets which jut off from the main. There are many restaurants where you can enjoy breakfast, and Indian music blasts through almost every street. There are a mix of Hindu and Chinese temples, mosques and churches, though be sure to visit the Sri Veeramakaliamman Temple. This is the prettiest temple in Singapore, with hundreds of tiny statues depicting frescoes from the legends of the Goddess Kali. 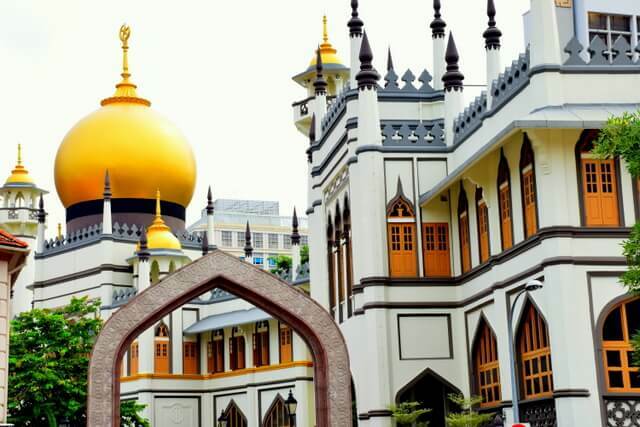 From here walk to Arab street, the historic Muslim quarter where the golden dome of the iconic Sultan Mosque stands out amongst the area’s colourful shophouse streets. Explore Arab Street, Bussorah Street, Haji and Bali Lanes and Muscat Street for Arab restaurants and boutiques selling brightly colored fabrics and textiles, Persian carpets, leather, perfumes, and jewellery. 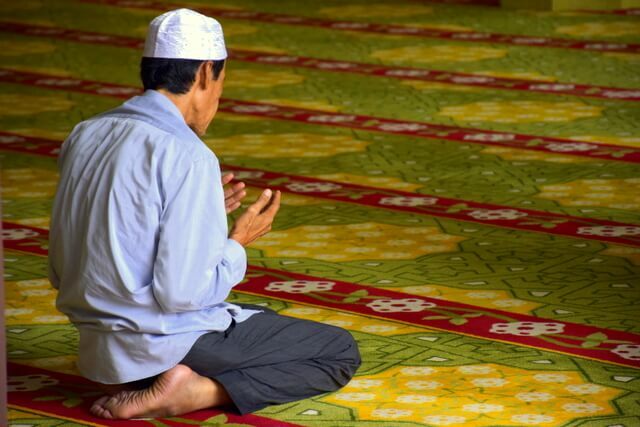 Spend time inside the Masjid Sultan Mosque. With a history that reaches back 200 years, it welcomes people of all faiths who come to see the intricate design and architecture. For an afternoon of adventure, head to MacRitchie Reservoir Park. 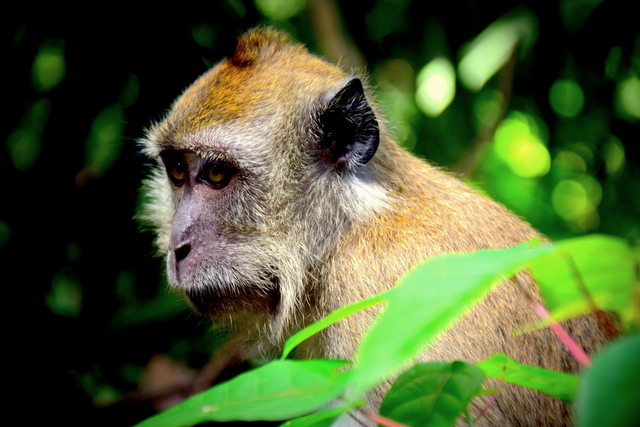 The highlight here is an 11km nature trail which winds through the tropical rainforest and may see you bump into wild long-tailed macaques, squirrels and huge monitor lizards. It takes three to four hours to complete the main circuit, which includes a treetop walk where you can traverse a 250m-long suspension bridge, perched 25m up in the forest canopy. A gateway to Singapore’s nature reserves, this is a popular spot for nature lovers and exercise enthusiasts. With hiking trails, a newly improved pontoon for kayakers and an upgraded canoe shed, it is also a great place for recreational activities, both on land and in water. It is located along Lornie Road. The nearest MRT is Caldecott MRT (CC17), followed by a 25 minute walk, or bus 157 will drop you off at the service center. Singapore is a sprawling city, but with the ease of transport on the MRT it really doesn’t matter which neighborhood you choose to stay. 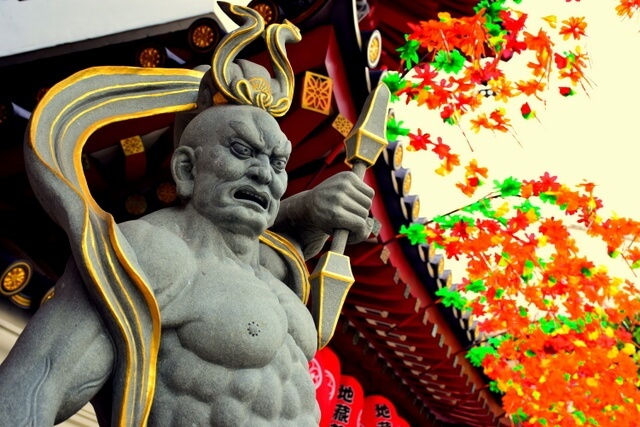 Most travelers tend to opt for the central areas towards the south of the island, like Marina Bay, Clarke Quay, Civic District and the ethnic neighborhoods of Chinatown, Little India and Kampong Glam. Each has its own unique vibe. We personally stayed at Marriott Tang Plaza Hotel. Arising from Orchard Road like a beacon, this is one of the best located hotels in Singapore, offering luxury accommodation, with the vibrant and bustling metropolis of Singapore at your feet. At the base of the hotel lies the MRT (Mass Rapid Transit), which connects you to the rest of the city with extreme ease. 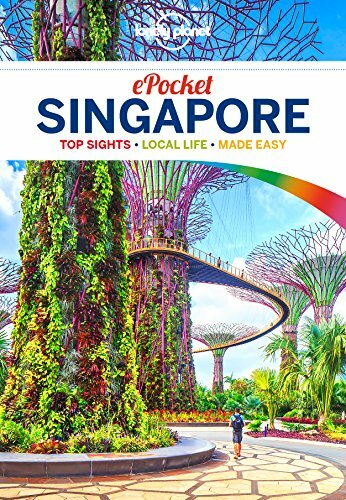 Check out these things to do in Singapore – this 48 hour itinerary is Singapore travel and Singapore photography at it’s best! Great post. I like the itinerary suggestion, especially the part on Macritchie Reservoir. Not many people (blogs) would recommend it, maybe coz they haven’t explored it themselves. Just a suggestion, if you have an additional day or two to spare, do drop by Batam island in Indonesia. It’s less than 1-hour ferry ride away from Singapore! Batam is a lot cheaper than Singapore and has some natural attractions as well! Thanks for the tip on visiting Batam island in Indonesia. Will keep that in mind a a day trip for our next trip. Sounds like a wonderful excursion! Now that is a bunch to do Meg in a cosmo spot. We need to see more of Singapore then the airport because it feels unlike any other place in Southeast Asia. Sure you have wealth and opulence but also a down home feel to it too, as far as its green-ness, parks and wildlife. I see it doing a fine job honoring the nature of SE Asia while still being a thriving, modern hub. If you have the time to venture outside of the airport on your next trip through, definitely go for it. Even if you’ve only got 12 hours, you can still get a great feel for the city; it’s so compact and transport is very efficient which really helps getting around. Yeah, I covered more-or-less the same areas as you did during my 3-day stay. And Gardens by the Bay was the highlight of my trip — absolutely beautiful. 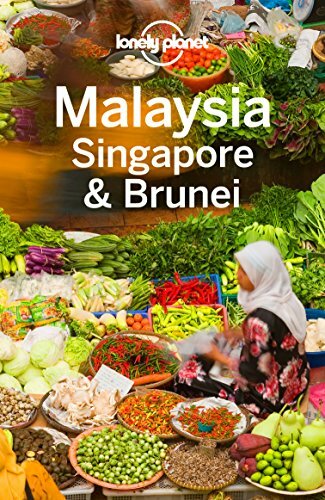 Singapore is a great place there is lots of things to do, I’ve visited last year and enjoyed a lot thank you for sharing this informative and helpful keep sharing. Glad you enjoyed your time Zahid – it’s a fabulous destination indeed! Still time to see plenty – everything is very condensed, so you’ll probably get to see more than you think :) Have a fab time! I was there for only 24 hours but still felt we saw a lot – can’t wait to get back though – it’s so green which surprised me for a city! Great suggestions. I love how Singapore embraces its diversity. I adore Singapore! And yes, 48 hours can be enough time to see a lot of it given how condensed things are. So glad you had a fabulous time as well! I got back from Singapore Tuesday. A week with young kids, what i noticed is how Singapore makes its sites so famy friendly. My boys (3 & 5) loved the Gardens by the bay & sky walk. But it was hot & there is an amazing water playground & cafe within the Gardens. Things like this can mean instead of a a hot grumpy trip back to the hotel, its a quick splash followed by a snack and relaxing bus/taxi/MRT back to your hotel. My boys love marine life & the aquarium at Sentosa is next level! So glad you had a fabulous time Dave, I agree it’s such a family friendly destination. It sounds like a vacation your family will remember for a long time!! Need a quick meal. Look out for Food Republic. A collection of outlets that sell good food where you’ll get change out of $10. I was in Chicken Rice heaven! Your posts are great. It’s always a good time when I get your posts. Pleasant reading, easy and quality, …always. I live in Santos-SP-BRAZIL, would you mind to send some ideias for a 20 days trip to Singapore and arounds?!?! 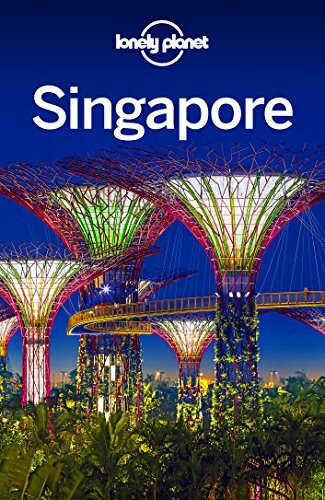 Thanks Rogerio, so glad to hear you’re enjoying our posts :) Oh wow 20 days in Singapore sounds incredible – you’ll really get to know the city well with that much time there. The nice thing about Singapore is that it’s Asia’s biggest international hub, so in terms of spending some of your time for the surrounds, you really can get direct flights too almost anywhere in Asia. I think for Singapore itself, 5 days is probably ample time, and then you could spend the remaining 2 weeks exploring destinations close by. David Brown Thanks David … Thank You Very Much !!! Meg Jerrard I agree. I was with a tour group, and we continued to Malaysia after that. I was trying to get to Singapore for years and glad I did. I would go back in a heartbeat. Singapore is at the top of my list to meet later this year. I’m already preparing for this. I loved the post list of the best things to do in the area. I loved it. Last summer I tried to stroll in Singapore and really fell in love with the place … it’s simply amazing the buildings, buildings and places for leisure and fun. The cuisine is also very good. Many restaurants and options to go out at the end of the week. I liked the article also I find this list very good. Thanks for sharing. Totally agree, it’s a fabulous place in every sense, but especially when it comes to the architecture (I love how they really invite the jungle into the urban spaces) and the diverse cuisine. So glad you enjoyed the article Luana!